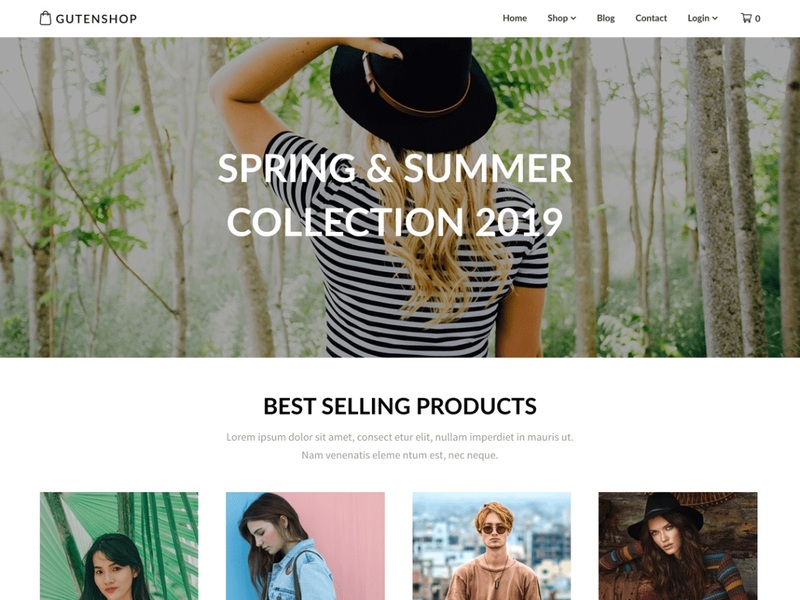 Gutenshop is an e-commerce WordPress theme made for web shops, online boutiques, and stores. It’s powered by Woocommerce and blocks so you can create your own landing page with the new page builder. You can create grids, show products and add all the content you can dream of to your front page. It’s also made so you can use it as a one-page shop. You can use this for beauty, women fashion, sports, men clothing, electronics, furniture, retail, toys, digital products, kitchen, or any other sort of eCommerce shop. The theme is clean, minimal and responsive, it’s flat design with a few shadows here and there to make some elements stand out. We have given the theme great page speed/load time and made it fully SEO optimized. Due to the new editor, it’s a multi-purpose theme as well, you have the option to make any sort of business page or blog. You can use the one-click checkout feature to make your store an Amazon affiliate store as well easily. It works on every screen size and device, we have made sure your new store looks amazing everywhere.